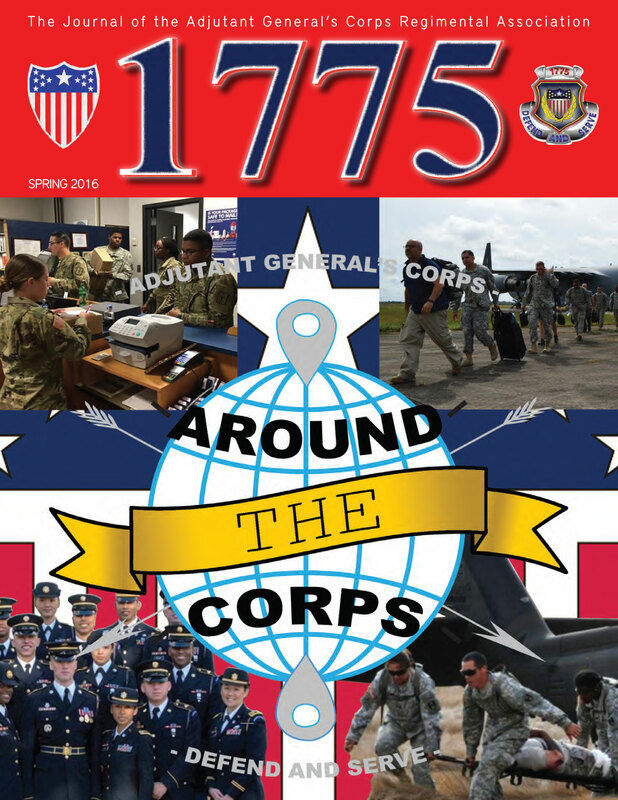 This edition of 1775 is dedicated to Around the Corps. Simply stated, we built this edition to hear from you, the Soldier and Civilian HR Professional, and what’s going on today in your corner of the Army HR Community. The articles within this edition describe the HR work you’re doing daily to enable Commanders and take care of Soldiers and their Families. Articles within this edition touch on the AG Corp’s four core competencies of Man the Force, Provide HR Services, Coordinate Personnel Support, and Conduct HR Planning and Operations. From Personnel Readiness Management, to Essential Personnel Services, Casualty and Postal operations, Recruiting and Accessions support, to Band operations and much, much more, our Corps covers a broad and myriad spectrum of HR support to the force. We are proud to publish the articles received for this edition from HR Operators in the field and are equally as proud of the support and services they provide to our most valued resource, the American Soldier. We hope you enjoy this edition of 1775 and we welcome your feedback by e-mailing comments to magazine@agcra.com.